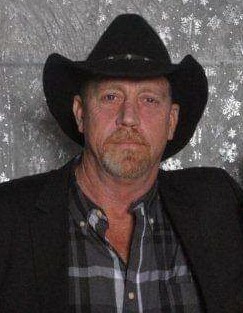 Ocala - Donald 'Drew' Brown Jr., 54, passed away February 2, 2019 surrounded by his family. He was born January 6, 1965, in Richmond, VA, to Donald Drew Brown, Sr. and Kathleen Deloris Brown. He was an automotive mechanic and moved here from Richmond in 1979. His great passion in life was riding his Harley. He was an amazing man who took great pride in working hard to provide for his family. He is preceded in death by his mother, Kathleen 'Deloris' Brown. He is survived by his loving wife, Tammy Moore Brown; father, Donald Sr.; sons, Joshua Moore (Melea), Dustin Smith; daughter Susan Weaver; brother, David L. Brown (Christine) and three granddaughters, Savannah, Lilly and Danielle, and multiple aunts, uncles, cousins, and friends - especially his most loyal best friend Thumper. Funeral service will be 11:00 a.m., Friday, February 8, 2019 at Countryside Funeral Home, Anthony, FL, with Chaplain Herb Agee officiating. Visitation will be one hour prior to the service at 10:00 am. Interment will follow in Highland Memorial Park, Ocala, FL. There will be a gathering after at his brother's home for those wishing to share memories and celebrate the life of a man truly loved by all.